Heading for a day out at Leeds Castle in the sunshine! 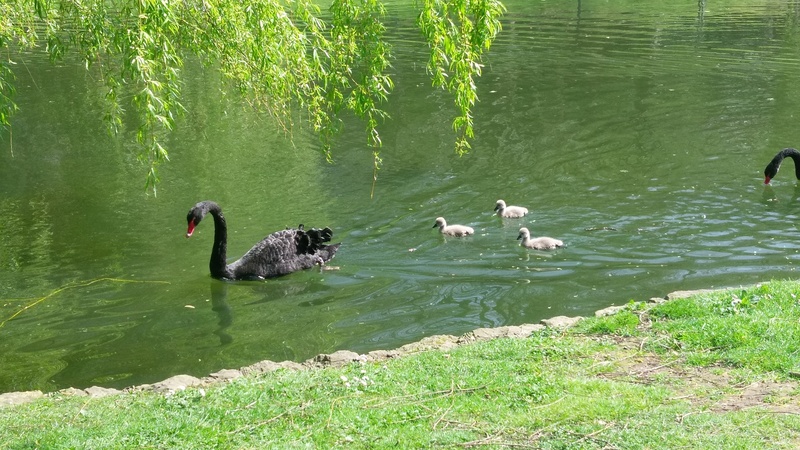 Saw some cygnets with a black swan. We’re keeping our eyes peeled for the elusive kingfishers that have been spotted around here! Leeds castle is a great day out for all ages. We had a lovely walk round the grounds spotting the many birds that make it their home. You can explore the castle and learn about the history of the beautiful building. Or to keep the kids happy there is a live falconry demo, a maze, playground area and local Solley’s Ice cream in a variety of flavours. I personally went for salted caramel. It was ace! They also have an activity trail available for kids to complete (for a small extra charge). The best thing about Leeds Castle is that the ticket price includes repeat entry for a whole year! To beat the queues, you can book online but it must be at least a day in advance.